Lots of great new Spotify sites, apps and plugins launched over the past few weeks: here’s a look at some of them! The makers of Utibify (the site that lets you watch music videos on YouTube based on your Spotify playlists) now have a super-slick Android app. Just enter your Spotify username to start watching full-screen music videos of all the songs in your published playlists. With options to load an alternative music video for the current song, skip tracks and view all your Spotify playlists, Utubify for Android is one of the best free Sptofify apps in the Android Market. 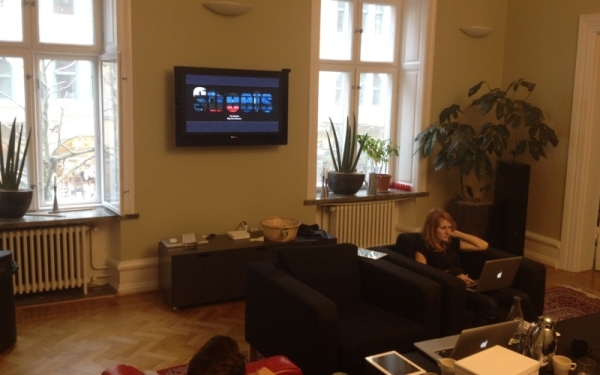 Full Screen Music for Spotify is a Mac app that gives you a a full screen mode for Spotify. It displays large album art along with artist and track name for the current song. There’s also controls and keybindings to play/pause, switch track and change volume. Like the full-screen mode in Spotify for TiVo, this app is perfect for parties. 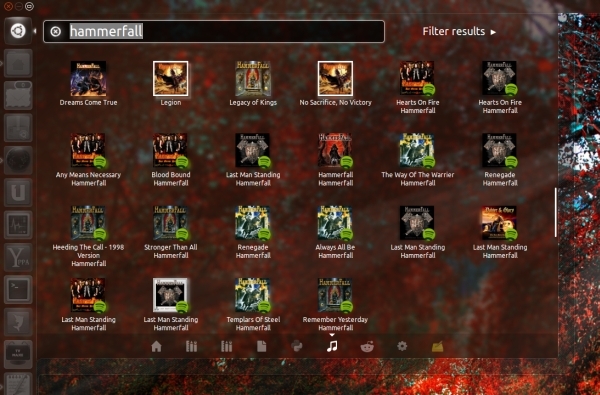 SpotCommander is a remote control for Spotify on Linux. Running from a standard web browser (on the desktop, Android or iPhone), SpotCommander lets you control Spotify playback, select playlists, search for tracks and edit playlists. For Ubuntu Unity users, Spotify Scope For Unity Music Lens lets you search for songs and albums from the Unity Music lens and play them in Spotify’s native Linux client. 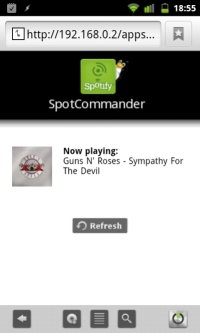 SpotTV is a Spotify plugin for NextPVR, the free PVR and Media Center application for Windows. 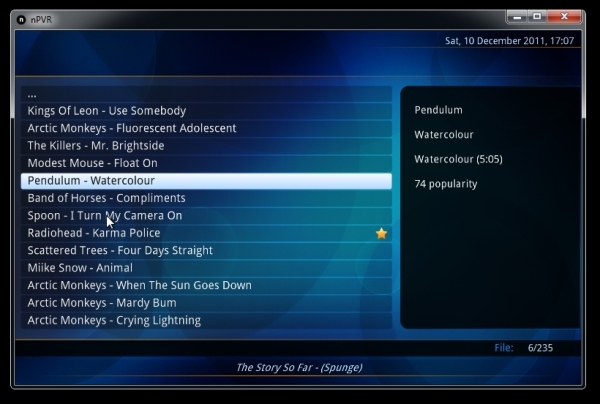 Spot TV lets you listen to music from Spotify within NextPVR, including options to browse and play your playlists and starred tracks. As seen on the official Spotify blog, SpotOn Radio lets you to create personalized radio stations from iPhones and iPods. Simply pick one of your favorite artists then tap to create unique radio stations similar to their style.